The University Health Board serves a population of 561,400 (2009 population estimate) people and employs 13,336 staff. 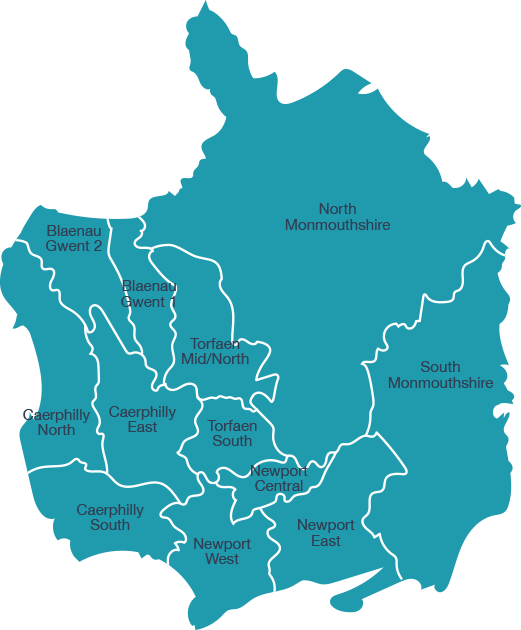 It’s catchment area includes the populations of Caerphilly, Monmouthshire, Newport, Blaenau Gwent and Torfaen. Taken together with an estimate of the patients living in South Powys and other areas that are served by the University Health Board for acute services, the patient population served is close to 600,000. Delivery of health services has to take account of a mix of rural, urban and valley areas and a growing proportion of elderly people. The age structure of the population is similar to Wales as a whole, with slightly higher proportions of persons aged under 15 and in their forties, and lower proportions of persons in their twenties. The latest projections indicate that if current trends continue the total population across the University Health Board area will remain stable, although the age profile of the population will change significantly: the numbers of persons aged 65 and over will increase by almost 50% by 2033; the proportion aged 75 and over is projected to increase between 7 and 10% (with some local authorities seeing an increase of up to 19% over the period); the percentage aged 85 and over is projected to double from between 2% and 3% to between 5% and 8% by 2033. Stephanie is the Primary Care Cluster Lead for Optometry and is responsbile for liaising with the ROC and the primary care clusters. This health board runs an Eyecare Collaborative Group and an Eyecare Liaison Group regularly with no interruption. Their Headquarters are St Cadoc's Hospital, Lodge Road, Caerleon, Newport, NP18 3XQ. Telephone: 01633 436700 and this is where the administration for the EHEW service will be based but all eye care meetings typically take place in Newbridge (Gwent) which is where the Optometric Adviser is based and works from.